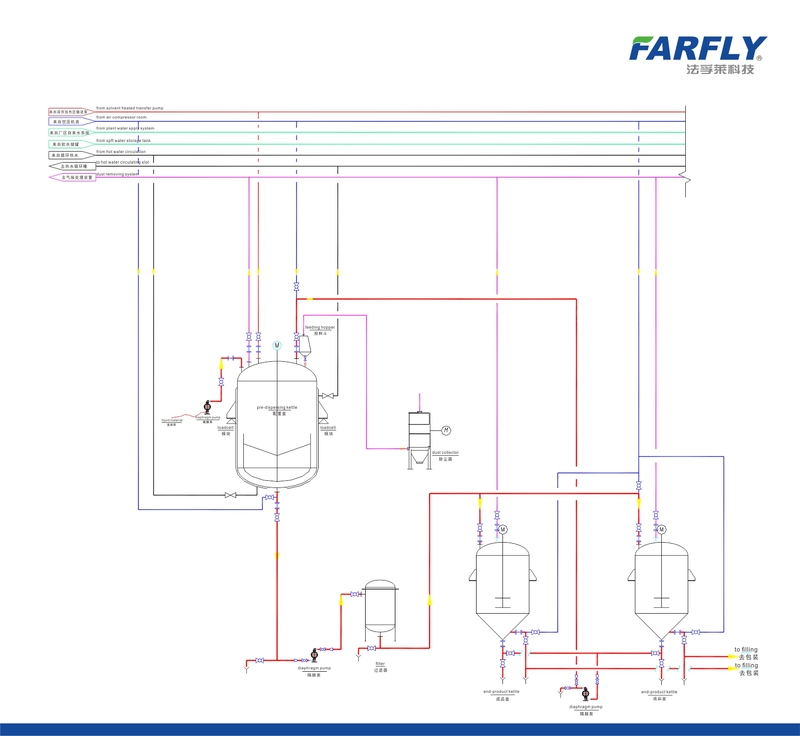 Lab Dispersing Mchine on sales - Quality Lab Dispersing Mchine supplier | JIANGSU FARFLY MACHINERY MANUFACTURING CO.LTD. Suitable for middle-scale or large-scale production. Designing yearly output is 10000-100000Ton. 1.Mixing reactor: It’s a jacketed stainless steel mixture reactor, the main equipment for the SL/EC processing, with low speed mixer, motor, speed changer on it. The mixer paddle usual made into anchor and mixing speed is 65rpm. 3.Storage tank: Low speed mixer with anchor paddle, mixing speed is 82rpm and normally has two tanks alternate use, stainless steel material. 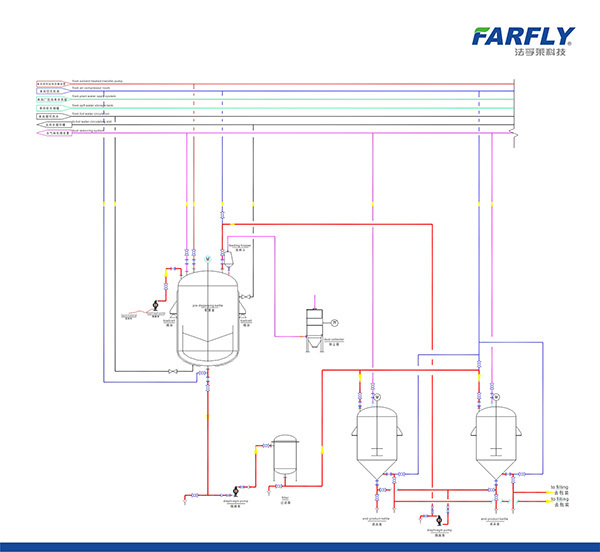 1.Material measure system(material tank, feeding engine, weighing unit, dust removing system, detecting system).